GAIL ARMSTRONG, GRI, SRES Gail has 35 years experience in real estate and has the Graduate of Realtor Institute (GRI) and Seniors Real Estate Specialist (SRES) designations. She is knowledgeable, reliable, patient and specializes in residential new construction or existing real estate. She is familiar with and comfortable working in the four county areas Delaware, Philadelphia, Montgomery, and Chester Co. Gail can provide specialized service to the 50+ community who wants to down-size or needs in-law quarters for caring for older relatives. More and more active seniors are looking for condos or active adult communities so they can enjoy life without the necessity of exterior maintenance on their homes. Gail is very involved in her community. 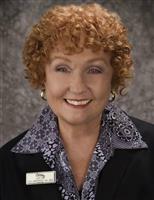 She is a charter member of Springfield Lioness,a fundraiser for local food banks,local help for the blind and handicapped.Gail is constantly in touch with changes in the real estate industry and keeps her knowledge base current and relevant with today's market.Call Gail regarding your real estate concerns. You won’t be disappointed in the service.